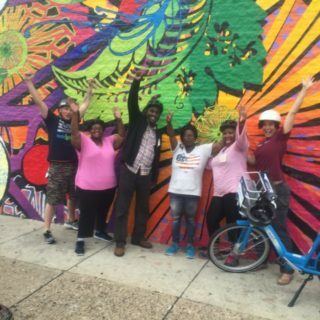 You might not expect digital literacy and bike share to go together, but that’s exactly what’s been happening in Philadelphia for the past year-and-a-half. 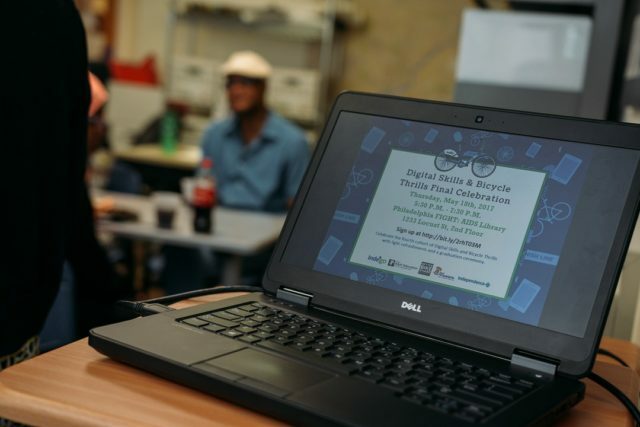 The Digital Skills and Bicycle Thrills (DSBT) program graduated its fourth cohort last week. 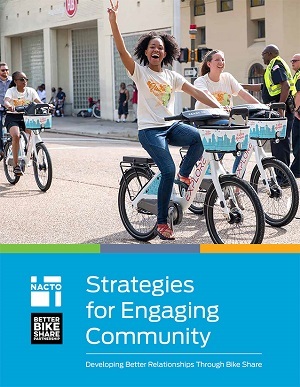 DSBT is a skills-based learning curriculum that teaches computer literacy along with information on bicycle safety and how to access Indego bike share. The program includes a four-week online course that has participants complete assignments related to bike share. 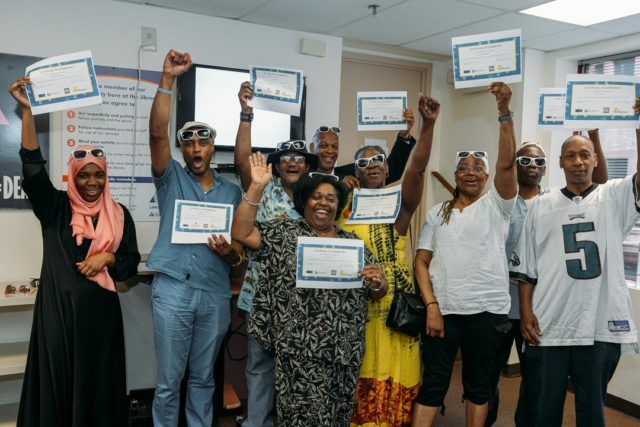 Members of the program also participate in a group ride and receive a free six-month Indego pass when they finish. In a past article, we wrote about the why DSBT got started. In short, Philadelphia recognized the growing need for computer skills and access in today’s world. 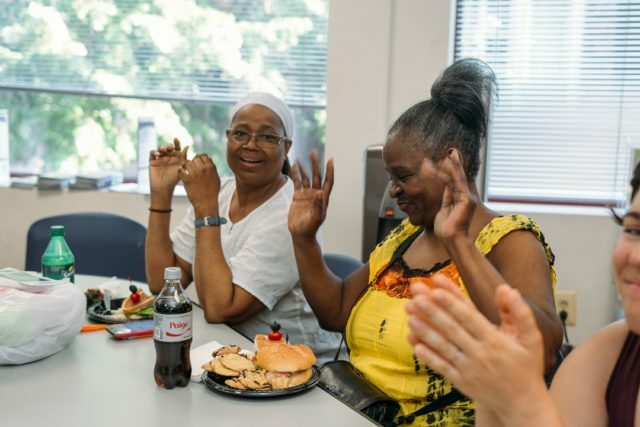 This understanding was paired with the reality that low-income residents wanted a physical location where they could sign up for bike share and ask questions about it at the same time. 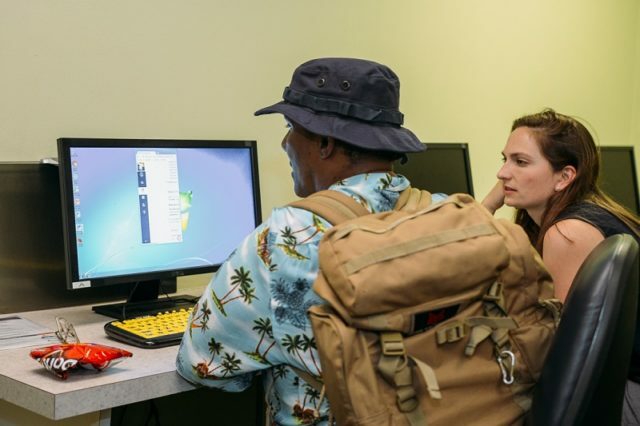 DSBT uses the excitement that people feel about giving bike share a try as a motivating factor for growing computer skills. 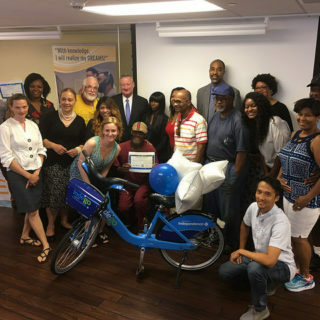 The program is a partnership between the City of Philadelphia Office of Adult Education, Indego, and the Better Bike Share Partnership, and is sponsored by Independence Blue Cross. Jonathan Fikru was a member of the third DSBT cohort. He is currently a membership services coordinator at Back On My Feet, a nonprofit that assists homeless individuals with recovery and transitional housing, while they also learn the practice of running. Fikru sees strong potential in DSBT for helping the people he works with on a regular basis. Indeed, the hope is that the DSBT experience will ultimately make it easier for community members to use the Indego system, and thus better navigate Philadelphia.